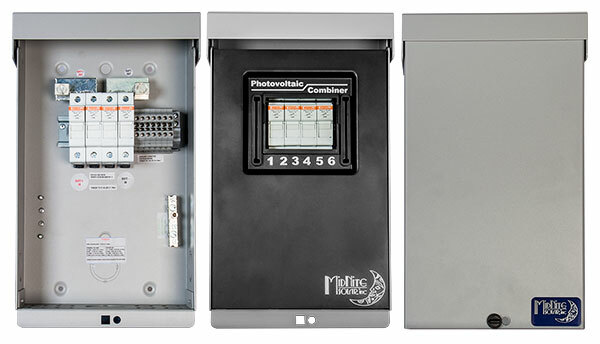 The MNTWP2 is a combiner box made with the Tesla Power Wall in mind, It is designed to combine 2 of the Power Wall batteries. It has 15 amp fuses included for the positive and negative of each Power Wall. it also has the 7 position terminal block for the thermal cables as well as the communications cables. Powder coated aluminum 3R rated chassis with the quarter turn latch for access.